While the 61st Annual Grammy Awards might not receive as much ad-related attention as the Super Bowl, several brands are using Sunday's broadcast to introduce new creative to reach the expected 20-plus million audience. Aflac continues to expand the Publicis NY-developed "Aflac Isn't" rebrand designed to address popular misconceptions about the company. In addition to the "Award Show" TV spot, the brand is supporting its sponsorship as the Official Insurance Provider for the show by introducing a new collaboration with nominees Bebe Rexha, PJ Morton and Leon Bridges. They are helping to launch Aflac's newest initiative, “Celebrities. Music. Questions About Aflac,” and will host a variety of social and consumer activations throughout the weekend. In addition to this TV spot, Intuit will feature Raiche in behind-the-scenes content highlighting her road to the Grammy’s across social media. Intuit is also launching a user-generated campaign to encourage consumers to share their “big hustle” for a chance to win $3,000. Dove, along with its agency Ogilvy Paris, is raising awareness for the brand's hair empowerment initiative with several interlinking activations connected to the brand's new "Crown" original song written and produced by former Destiny's Child singer Kelly Rowland. The single is available to steam on Spotify, Apple Music or Google Play. To further expand this #MyHairMyCrown outreach, Dove will make a "cameo" during “E! Live From The Red Carpet: The 2019 Grammy Awards” ahead of the program with a two-minute, televised spot featuring clips from the music video. Dunkin’ stakes its claim to have fueled America from way back with a spot about a Christopher Columbus-like Captain who fantasizes about the brand and its potential on the way to discovering the New World. After a speech aboard ship, a crew hand brings out prototypes of the brand's coffee and donuts. 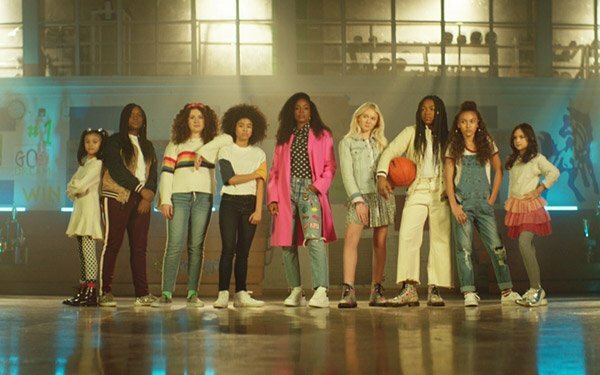 After debuting during the Grammys, the ad, developed with BBDO New York, will run both online and off, in 60- and 30-second lengths, with the longer-length running on Dunkin’s social media channels. A social content series rounds out the campaign. IBM, serving as the show's official artificial intelligence provider, is introducing an IBM Watson-powered solution to help The Recording Academy increase the industry group's fan engagement. Built by agency partner Havas New York, Grammyconnect is designed to enable IBM Watson Discovery to analyze more than 14 million news articles and bios for over 19,000 Grammy nominated artists, identifying over 20 million connections. Fans are then encouraged to visit www.Grammyconnect.com to learn quirky facts, like how the most connected woman is singer Norah Jones or that Best New Artist nominee Bebe Rexha wrote the song "Monster” with Eminem, Rihanna and Jon Bellion. Lexus is using the show to re-air "The New Renaissance" creative, developed with Walton Isaacson that was developed specifically to reach multicultural audiences. It debuted last month. The creative features R&B artist Sir the Baptist and the car maker's first luxury compact crossover (the Lexus UX) by intermixing scenes of the performer driving the vehicle and scenes of him performing his song "Movin."